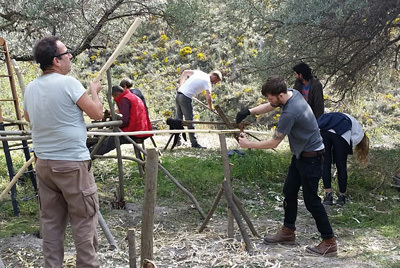 We have a range of options for training you to build your own yurt; yurt making courses, yurt building apprenticeships and we will aslo come to your area to help you build your own yurt. Look at the details below to see how we might be able to help you build your own yurt...! 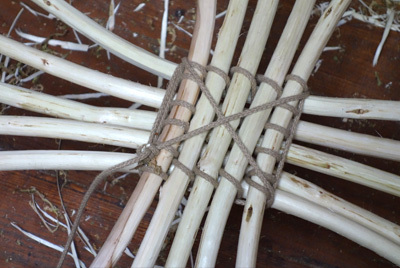 Learn how to make a 14ft yurt frame out of locally sourced coppiced sweet chestnut and ash. 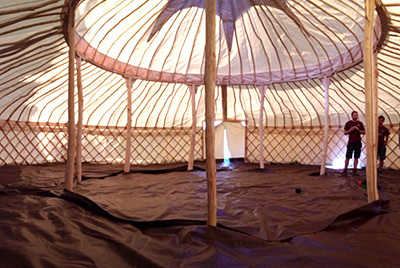 FairloveYurts will offer someone or a couple the opportunity to learn many of the processes necessary in yurt making. Since 2007 FairloveYurts has travelled to various locations in Britain and Ireland to help groups to build their own yurts and alchigs.